eleased on 19th November 1991 and reisued in October 2011 to commemorate the 20th anniversary of its original release, I decided to get The Classic U2 album Achtung Baby, after Having lost my original Copy years ago during one of my many moves, and, as it is such a great album I decided it needed replacing. Achtung Baby was the seventh studio album by rock band U2. It was produced by Daniel Lanois and Brian Eno, and was released on 19 November 1991 on Island Records. Stung by the criticism of their 1988 release Rattle and Hum, U2 shifted their musical direction to incorporate alternative rock, industrial, and electronic dance music influences into their sound. Thematically, the album is darker, more introspective, and at times more flippant than their previous work. Achtung Baby and the subsequent multimedia-intensive Zoo TV Tour were central to the group’s 1990s reinvention, which replaced their earnest public image with a more lighthearted and self-deprecating one. Seeking inspiration on the eve of German reunification, U2 began recording Achtung Baby in Berlin’s Hansa Studios in October 1990 and went on to become one of U2’s most successful records. It earned favourable reviews and debuted at number one on the US Billboard 200 Top Albums, while topping the charts in many other countries. Five songs were released as commercial singles, all of which were chart successes, including “One”, “Mysterious Ways”, and “The Fly”. The album has sold 18 million copies worldwide and won a Grammy Award in 1993 for Best Rock Performance by a Duo or Group with Vocal. 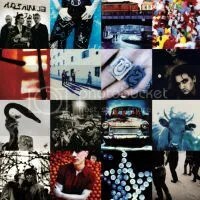 One of the most acclaimed records of the 1990s, Achtung Baby has regularly been featured on critics’ lists of the greatest albums of all time.